Sales development teams have become a crucial transition point in the sales process. Acting as the gatekeepers between marketing leads and sales opportunities, your sales development reps (SDRs) influence much of what happens at the top of your funnel. But for such an important role, how do you know if your SDRs are performing successfully? Activity metrics — like number of dials, conversations or meetings set — often act as core sales KPIs. These metrics are leading indicators for the sales pipeline, meaning if a leading indicator metric falls you would expect the resulting metrics — like opportunities created and other pipeline metrics — to fall as well. These also offer you some control over sales metrics that come further down the funnel. For example, if a team consistently makes the same number of calls, in order to increase the opportunities that result from those calls, they will need to improve efficiency and convert a higher percentage of leads. Sales metrics like “calls per opportunity” help determine how successful a team is at the activities they’re performing. It’s one thing if a team is banging out hundreds of calls a day, but it’s another if none of those calls result in opportunities. This kind of sales KPI can help in calibrating your lead qualification process. For example, maybe by correlating the amount of sales activities happening to turn a lead into an opportunity, you see that your lead qualification process isn’t strict enough, because all sorts of leads are turning into opportunities that don’t progress. Or vice versa. It goes without saying that sales development managers should keep a close eye on their team’s sales pipeline. This includes comparing how the pipeline looks today versus what’s needed to meet quota, as well as the size of deals entering the pipeline and other similar metrics. Sales development managers should also analyze how their pipeline progresses over time by comparing date ranges to see a historical context for performance. Analyzing the results of closed sales provides some of the most actionable data for sales development managers. Until a sale reaches the end of its cycle, it can be difficult to tell exactly what’s happening or what will result. The earlier activity metrics, like number of dials, give an idea of how strong a pipeline might be, but don’t offer much insight into the quality of the opportunities or whether additional tweaks are needed in the creation of those opportunities. How many calls does it take for a deal to close on average? What’s the big-picture impact on all those dials? It’s important for both managers and reps to understand how calls translate into business. This metric helps indicate lead quality. Higher quality leads should result in more wins. Is the team sending high-value or low-value opportunities through the pipeline? This measures lead quality and is an effective benchmarking metric to compare over time. While sales development teams have become a keystone in modern sales organizations, they bring their set of unique challenges into the equation and optimizing performance can be difficult. Now more than ever, sales teams, and especially sales development managers, need to be data driven in their approach to running their teams and keep a close eye on sales metrics like these in order to improve and maintain a high level of performance over time. 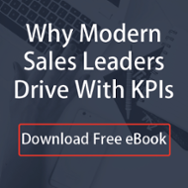 Managers often struggle to identify the right sales metrics for their SDR teams to focus on. Here are four types every manager should key in on.